Climate Connections is a daily (M-F), 90-second radio series that aims to help listeners understand how climate change is already impacting our lives and what diverse people and organizations are doing to reduce the associated risks. The series “connects the dots” between climate change and energy, extreme weather, public health, food and water, jobs and the economy, national security, and the creative arts, among other themes. 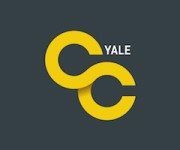 Climate Connections is hosted by Dr. Anthony Leiserowitz of the Yale School of Forestry & Environmental Studies, with original reporting from a national network of environmental reporters and researchers, and with audio production and distribution by ChavoBart Digital Media.